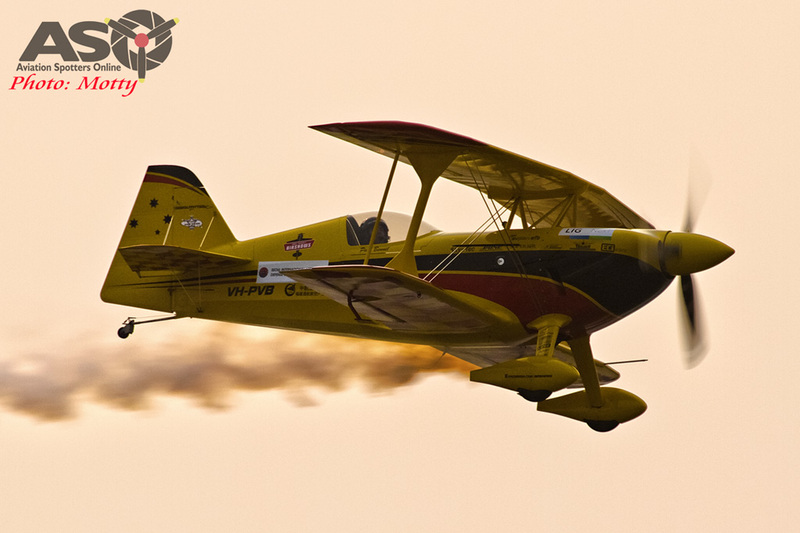 The small, bright yellow biplane seems to hang in the air, almost on its side, just feet above the ground and trailing a long plume of white smoke, with the name emblazoned across the top wing leaving no doubt over who is responsible for such an impressive display of aerobatic skill. 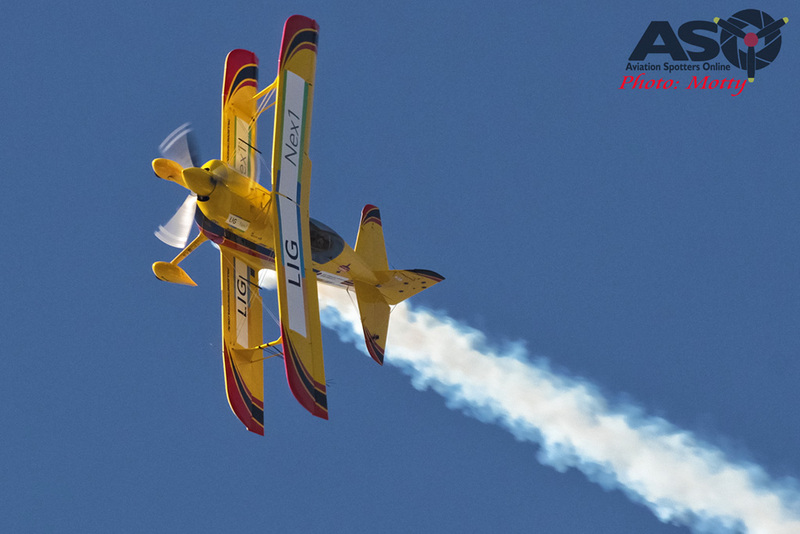 Many in Australia have, by now, witnessed (or at least seen on social media) the spectacle described above, along with many other awe inspiring aerobatic maneuvers at airshows around the country thanks to aerobatic display pilot Paul Bennet and the team from Paul Bennet airshows. 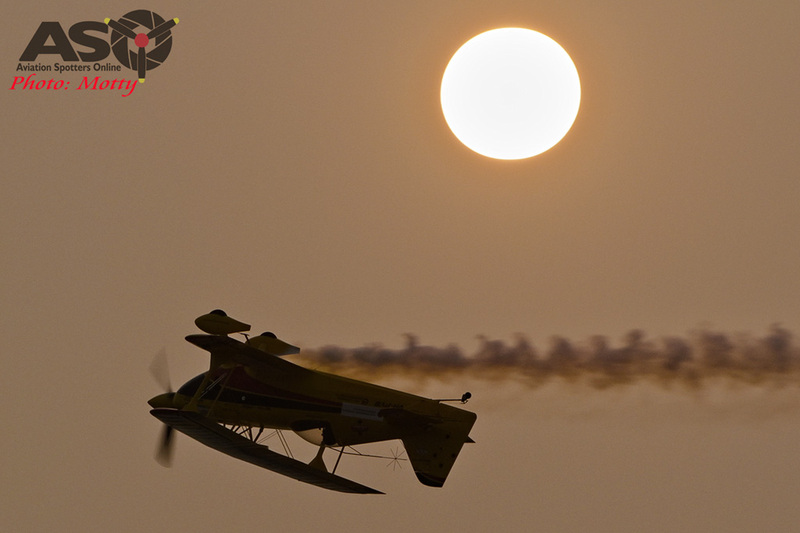 Aviation in all its forms has, and continues to play a significant role in Australian life, from the recreational ultralights and general aviation right up to the largest commercial operations. 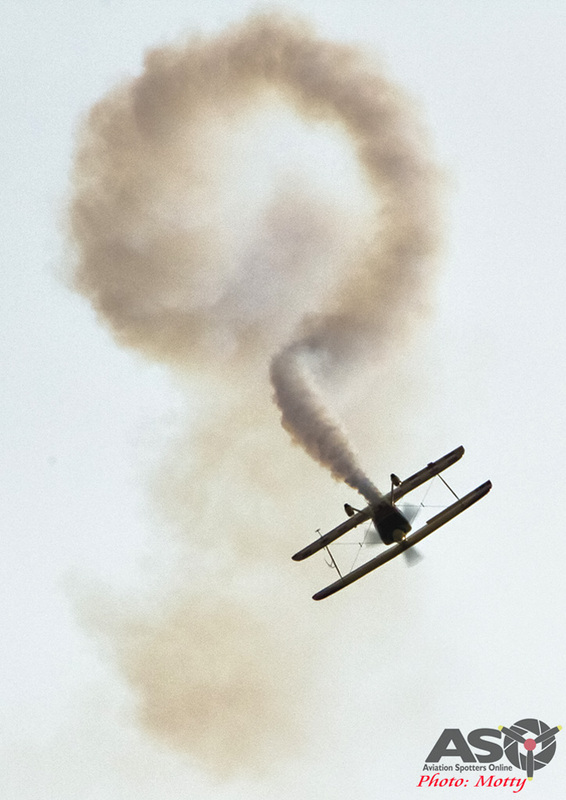 Even against this wide spread exposure to private flying, displays of skill and performance like those from Paul and the team still amaze and impress airshow crowds and the general public wherever they go. 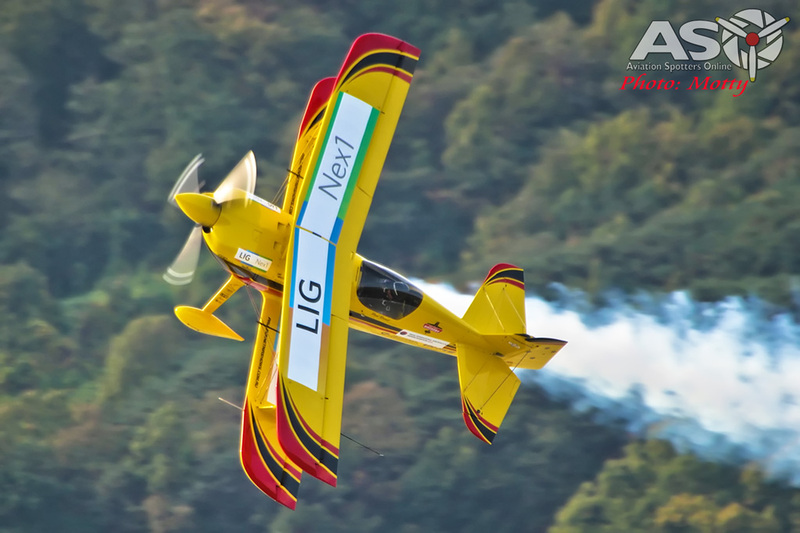 Imagine then what it must be like for people seeing these incredible displays of high performance aerobatics and low level flying in a country where even the concept of private flying and aircraft ownership is still extremely rare, or even unheard of. 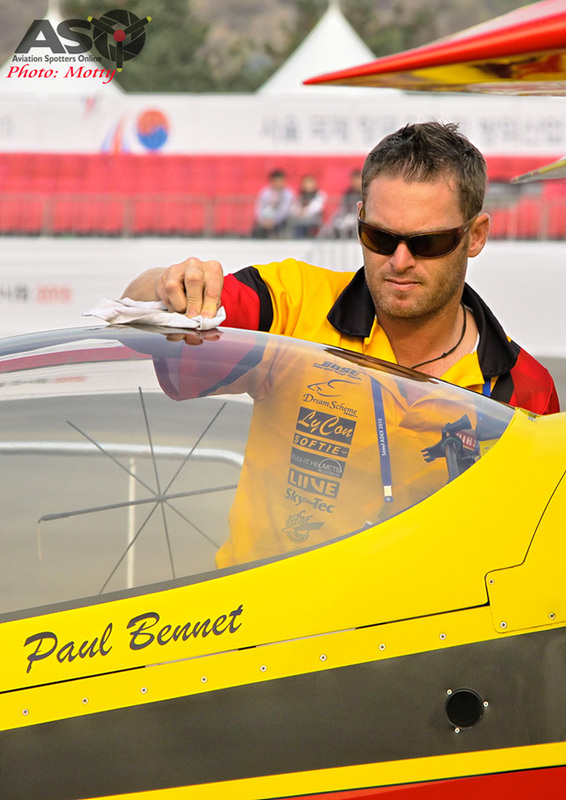 Not content with bringing their love of flying to Australian airshow audiences with appearances at major shows and by helping to support and organize smaller shows around regional Australia (see our previous reports on the Gunnedah and Maitland shows in 2015), Paul and the team have, for a few years now, been making starring appearances at airshows in South Korea (with more planned for this year too), and they have recently secured long term commitments to appear at shows in what is shaping up to be the largest, developing general aviation community in the world, China! 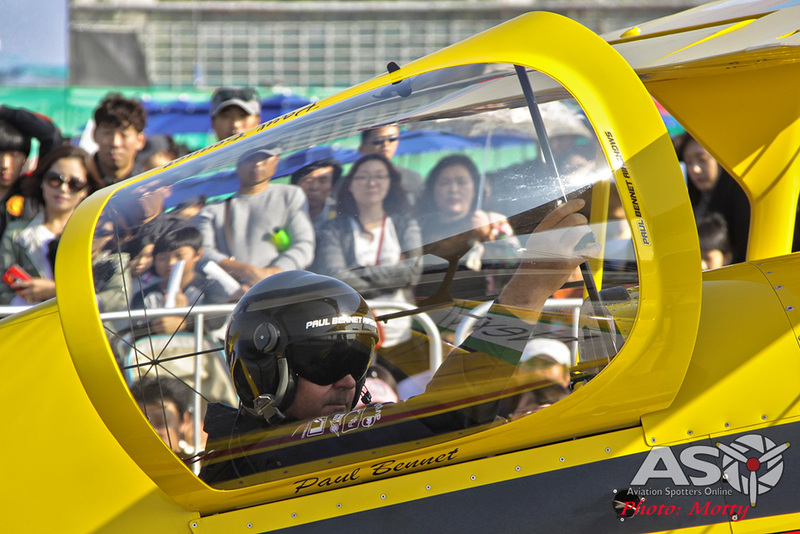 The second half of 2015 was an extremely busy time for the Paul Bennet Airshows team which began with them packing up the Wolf Pitts Pro and two Pitts S1s into a shipping container (something they are getting quite adept at from their shows in Korea), for the long boat trip to China. 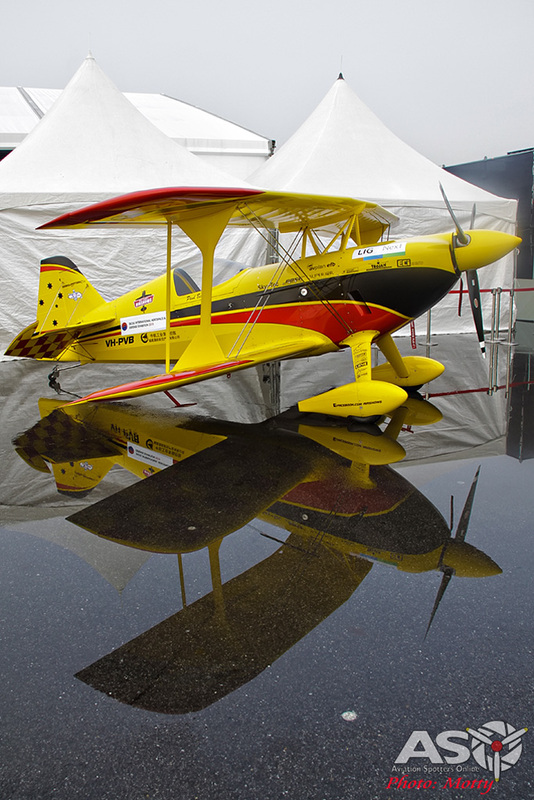 Following their arrival, the aircraft were transported by road, reassembled and test flown, ready for the team’s first show at Faku, a regional town just north of Shenyang, in August. Although there were some delays while waiting for the air to clear to give sufficient visibility (yes, the air, not the weather), the show days themselves were clear and the displays a great success, with the team flying a formation routine and a solo display by Paul each day. 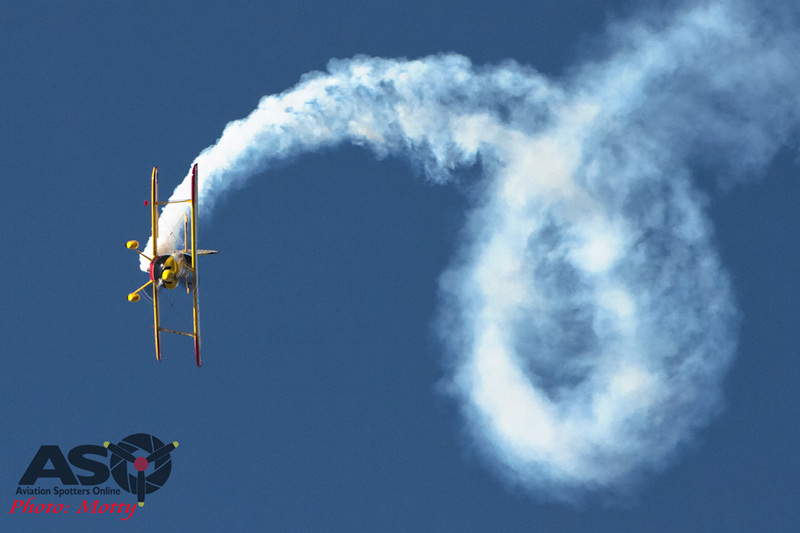 They also had the opportunity to meet, and fly with, the famous Red Bull display team, who were also a long way from home, at the show too (I wish I’d been there to photograph that! 😉 ). 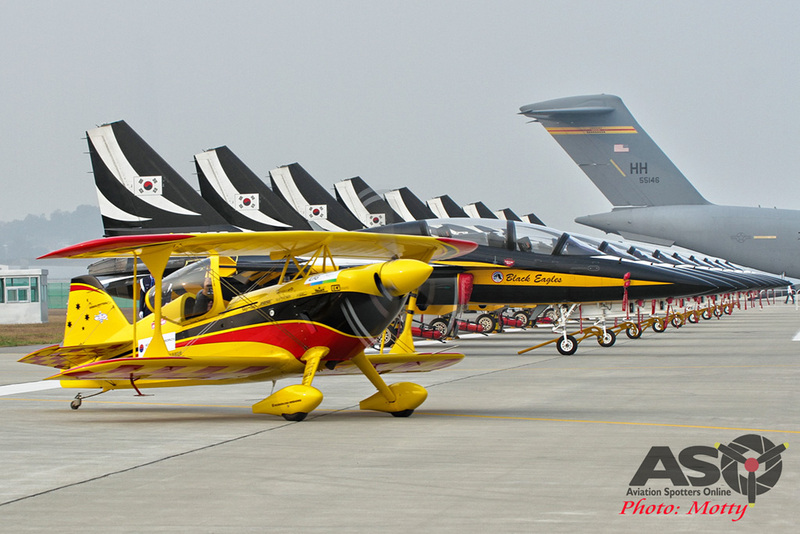 The end of the airshow was no time for the team to rest however as the aircraft had to be disassembled and packed up once again, ready to be shipped off to their next appearance in China at Jingmen. Now, most of us would say “why not just fly them to the next location? Surely that’s the quickest and easiest way to get them there?” But, given the many problems around things like; getting approvals for private aircraft to fly in what is still very restricted airspace, mostly controlled by the military, ensuring reliable fuel supplies in a country where light aircraft are very much a rarity, the unpredictable nature of the air quality / visibility and even just the sheer distance of the trip required (about 1600km as the Pitts flies), it actually was just simpler to pack the aircraft up and ship them by road. Getting the aircraft packed and away was no time for the team to take a break however as they returned to Australia to take part in Ausfly at Narromine over the first weekend in September with some of Paul’s growing warbird fleet, an Avenger, Wirraway, Yak-52 plus a borrowed Pitts Special for his aerobatic displays. The team’s growing list of overseas commitments meant that it was simply not going to be practical (or even possible) to be shipping the Pitts back and forth to make appearances both overseas and back here in Australia, sometimes from one weekend to the next. This led Paul to purchase another Wolf Pitts, an S1-11X, from Germany, which had been shipped to Perth, in Western Australia. So, immediately following their appearance at AusFly, Paul headed West to inspect and test fly his latest acquisition which had been reassembled at Aero Jacks at Jandakot airport before returning home to make arrangements for the next major excursion for the team, while Glenn Graham flew the S1-11X the 3500km from Perth, back home to Maitland in NSW, just in time for the team to head off on a massive trip, taking four of its aircraft to New Guinea! 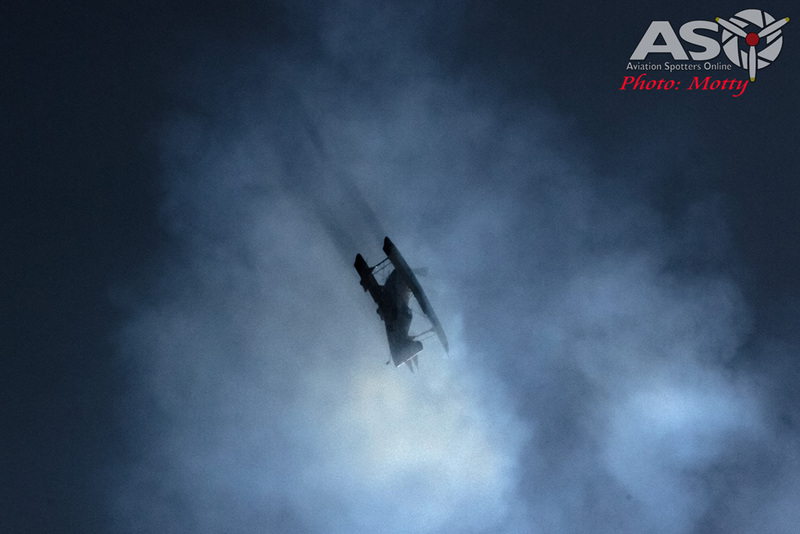 (You can see our previous report on this incredible and historic trip here; Warbirds return to New Guinea and some air-to-air photos of the new S1-11X, along with a CAC Mustang, in the article; Mustang and Pitts air-to-air). The weekend after the New Guinea trip saw the team make another appearance at the Airlie Beach airshow in Queensland before immediately heading back to China for their next show at Jingmen at the start of October where the Pitts had, by now, all arrived safely and been basically reassembled, ready for the team’s return, inspections and final assembly. 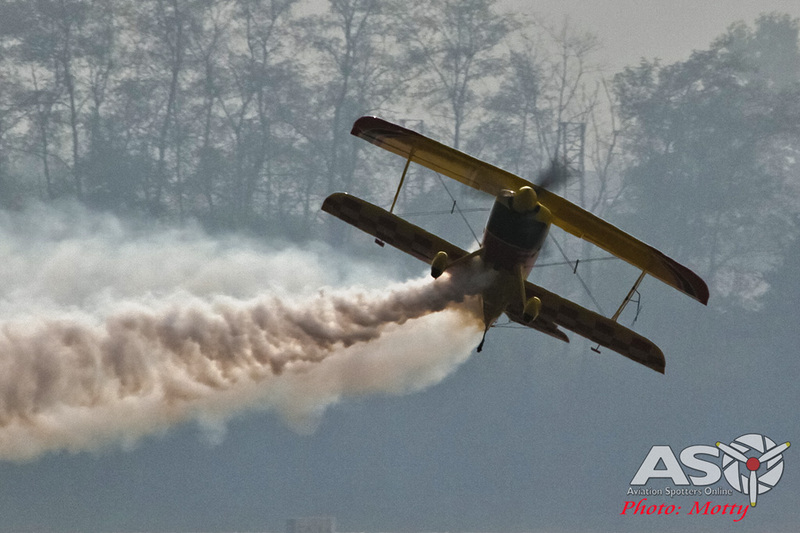 Once again, the air quality and weather caused some delays and restrictions but the show itself was a great success and the huge crowds were very welcoming and appreciative of the team’s efforts. 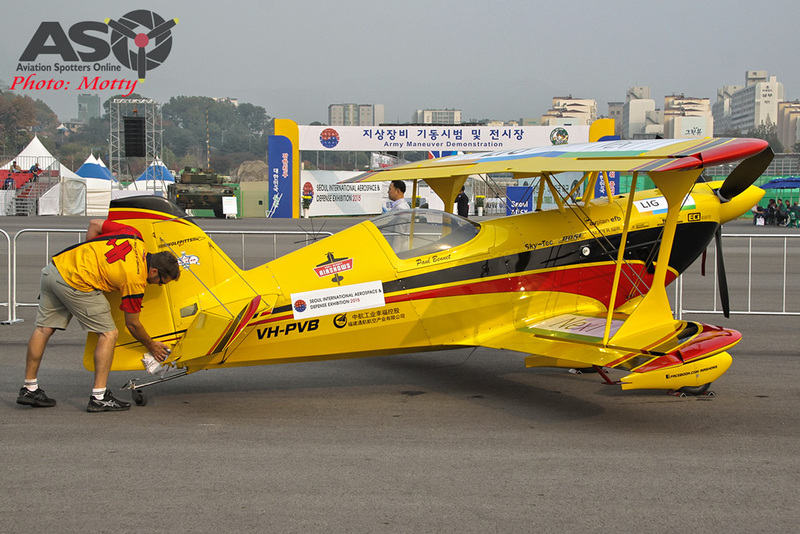 As with their shows in Korea, a lot of the general public in a country as large as China have not experienced the concept of private or general aviation, let alone high performance aerobatics or skilled formation flying by private individuals, so they are amazed and impressed to find out that Paul and the Team are just regular people without a military background. 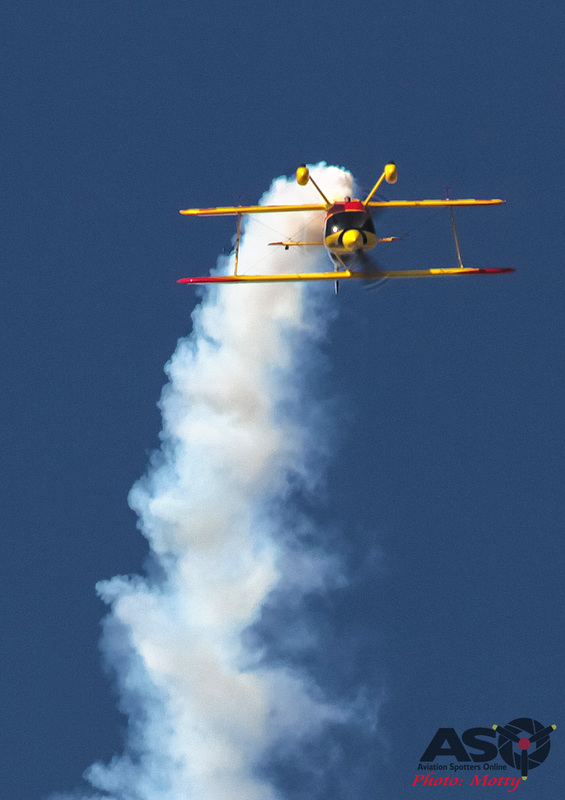 Also, what the crowds have mostly seen before would be the large, fast and loud displays of military jets and display teams which, while always impressive, are worlds apart from the tight, twisting, nimble gyrations of a Wolf Pitts. Rather than a chance to finally relax a little, the end of this show was one of the most hectic for the guys, as they had to have all three aircraft pulled apart and packed in the container, ready to be picked up for shipment to South Korea, by 9pm that night! (Again, the complexities and diplomacy involved meant that it was easier to pack the aircraft up, rather than try to fly them to Korea) This led the team to schedule their formation routine first so that they could start to disassemble the two S1s before Paul’s solo show in the Wolf Pitts later in the day, which also left the Wolf Pitts closest to the door of the container, ready to be pulled out again in Korea. A lot of hard work by the team, great coordination and support from the show organisers saw them meet the deadline and get the container away on the next international leg of its journey. As you’ve probably guessed by now, the team’s brief return to Australia after China was no relaxing break as they took the Avenger and new, bright orange Wolf Pitts to yet another airshow, this time at Jamestown in South Australia, where Paul again wowed the crowds with one of his latest tricks; the sensational “Bike Jump” where FMX rider Joel Brown performs a backflip on his bike as Paul passes underneath in his Pitts! Heading back overseas once again in the latter half of October (they must have a bazillion frequent-flyer points by now? 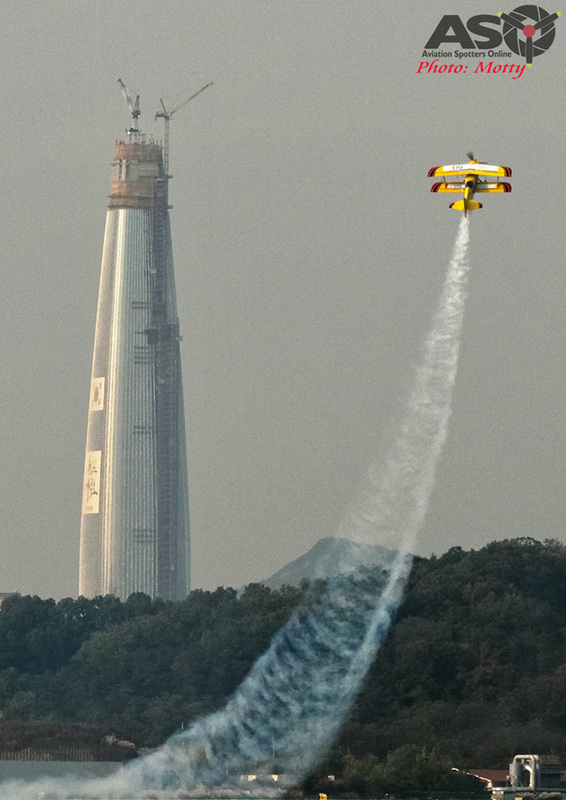 😉 ), I caught up with Paul and the team during their appearance at the Seoul International Aerospace and Defence Expo (ADEX) 2015 in South Korea, where I captured the photos of Paul in action used to illustrate this article. 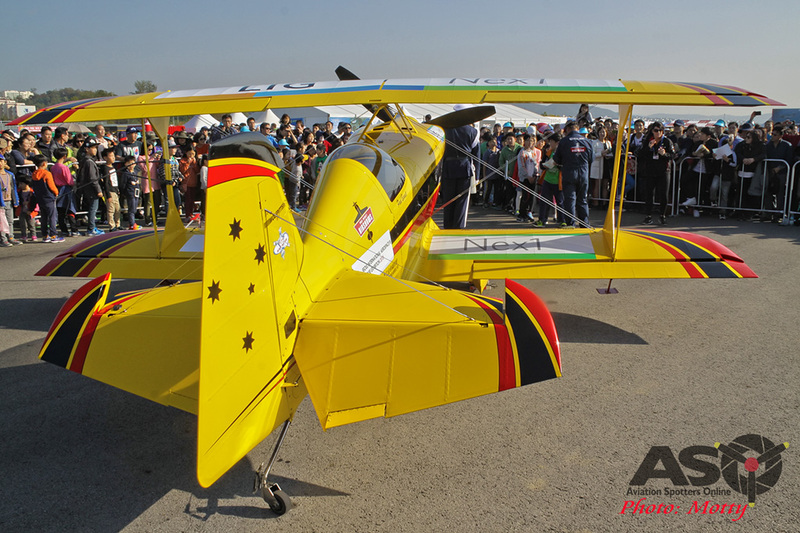 The show organisers had requested a solo performance from Paul this year so, having safely made the trip from China, the distinctive, bright yellow Wolf Pitts Pro was unpacked and reassembled once again, ready for the weeks flying. 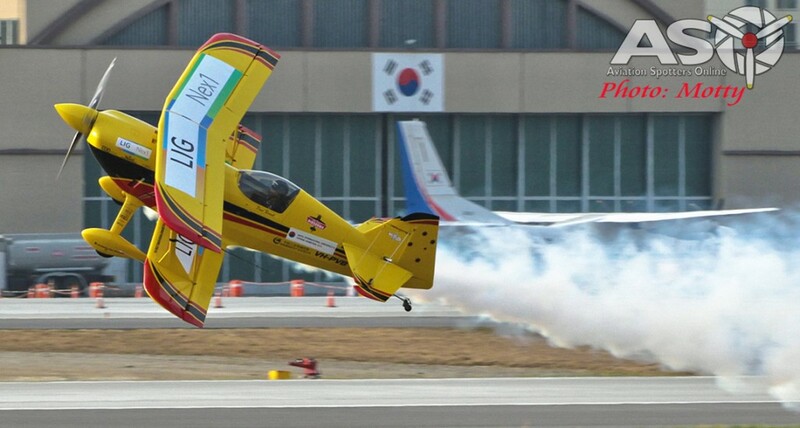 Unfortunately, the Seoul show suffered from poor air quality as well with Paul being the only performer who was able to fly on all 6 days of the show but, as bad as it was at Seoul, the team told me that it had been even worse in China, to the point where even they had chosen to cancel flying for safety. Thankfully though, the conditions improved for the public days over the weekend. 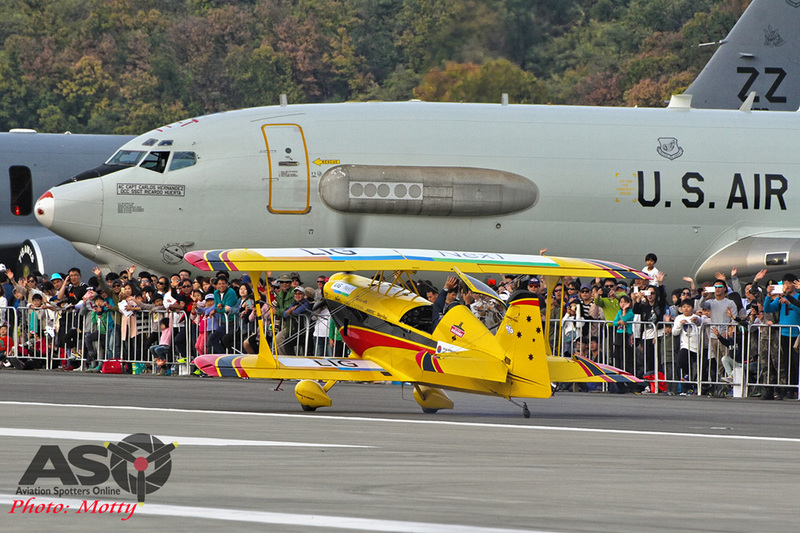 The only civilian performer amongst an impressive array of military might which included the latest Republic Of Korea Air Force (ROKAF) hardware and the state-of-the-art F-22 Raptor and Lockheed C-17 demonstration teams from the US Air Force (USAF), the little, bright yellow Wolf Pitts definitely stood out amongst all the heavy metal and, as they have been whenever Paul and the team have performed in Korea, the local crowds were highly impressed and greatly appreciative of the show and Paul was mobbed like a rock star for autographs at the end of his routines. 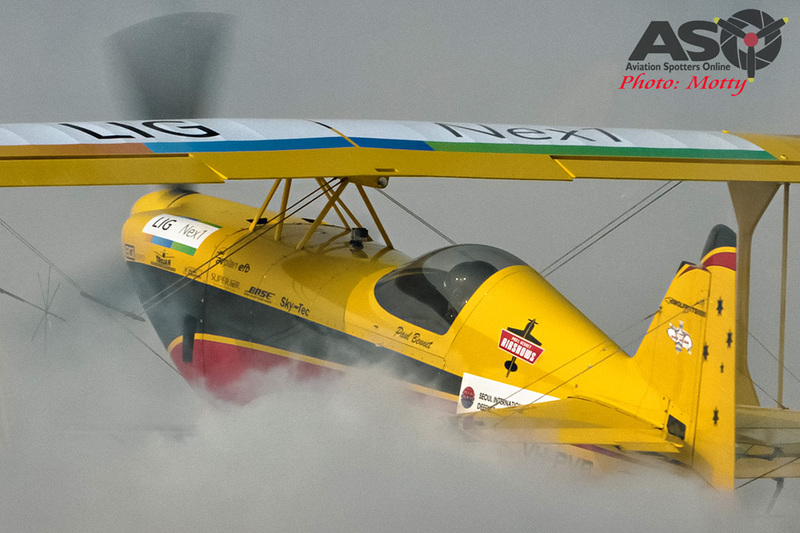 The close of ADEX2015 saw the Wolf packed up once again and the container, with all three Pitts, sent off on the next leg of the journey, this time back to Australia finally, after a long and busy six months away from home. 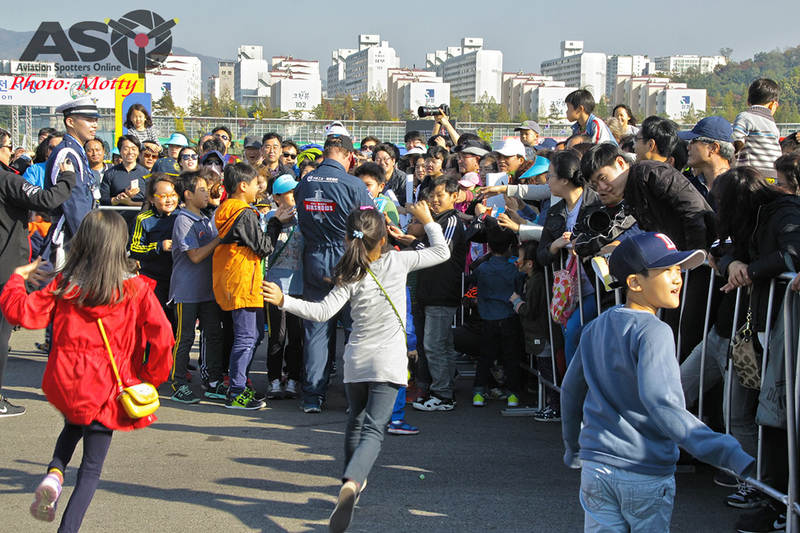 Of course there were still a few more appearances and performances for the team after they returned home to round out an incredible six months, while they waited for the container to make its way back to Australia. The future looks amazing (and still very busy) for the team at Paul Bennet Airshows as, following on from this incredible effort, they have secured an amazing commitment for six shows per year in China for the next five years, in addition to their continuing appearances in South Korea and back here in Australia as well. 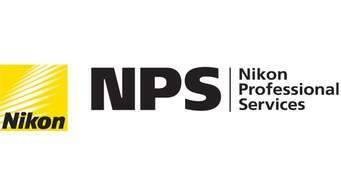 This long term commitment means that the team is likely to permanently base a number of its aircraft in China (and Korea) for, at least, the next few years. 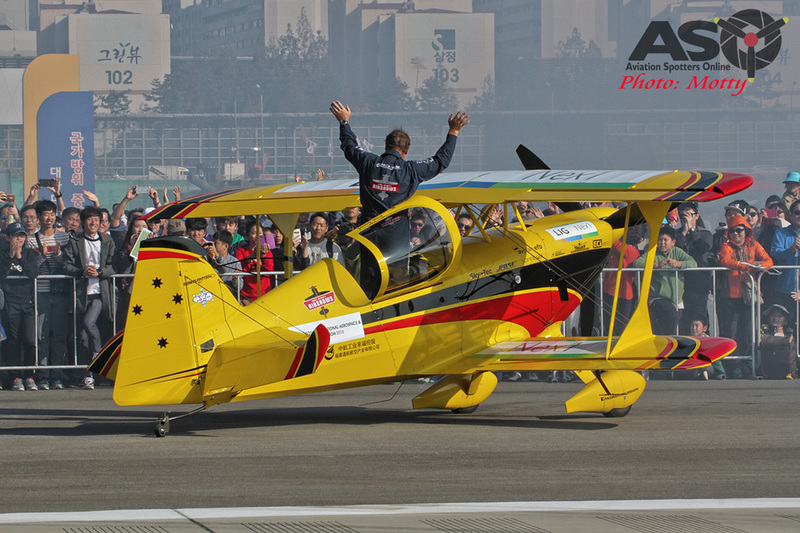 This success is a huge tribute to Paul and the team which has grown from a small, part-time group of just a few friends, with one Pitts S1, into a large, well organized team of several pilots and staff, appearing at (and organizing) dozens of shows around Australia and, now, in Asia as well, with a large fleet of impressive and unique aircraft, ranging from some of the most powerful and agile Pitts Special versions in the world to warbirds which include an Australian built Wirraway, a Trojan and the impressive Grumman Avenger (with more to come? 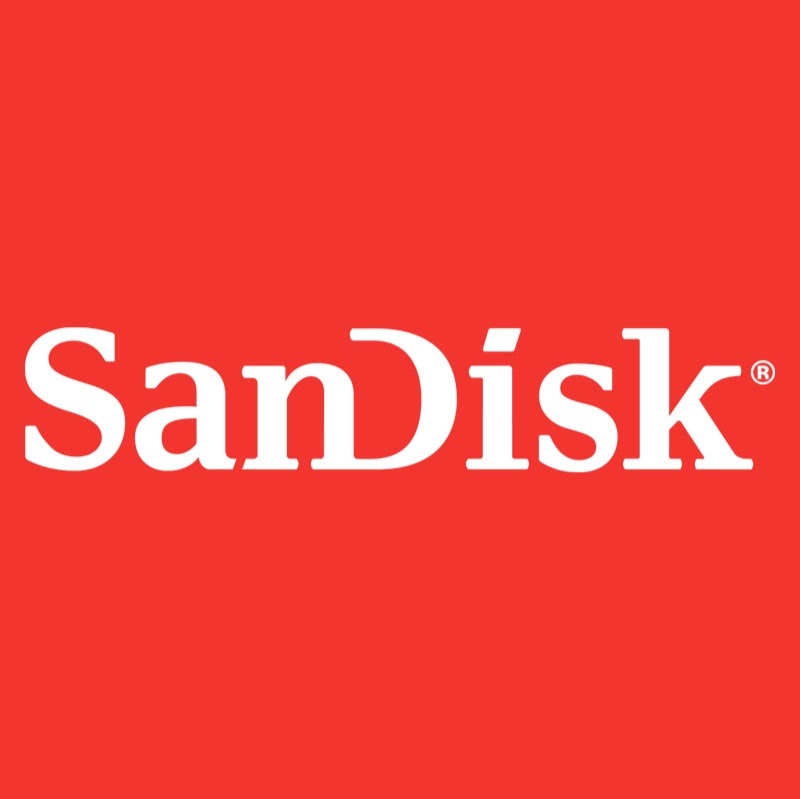 😉 ). All in less than a decade. 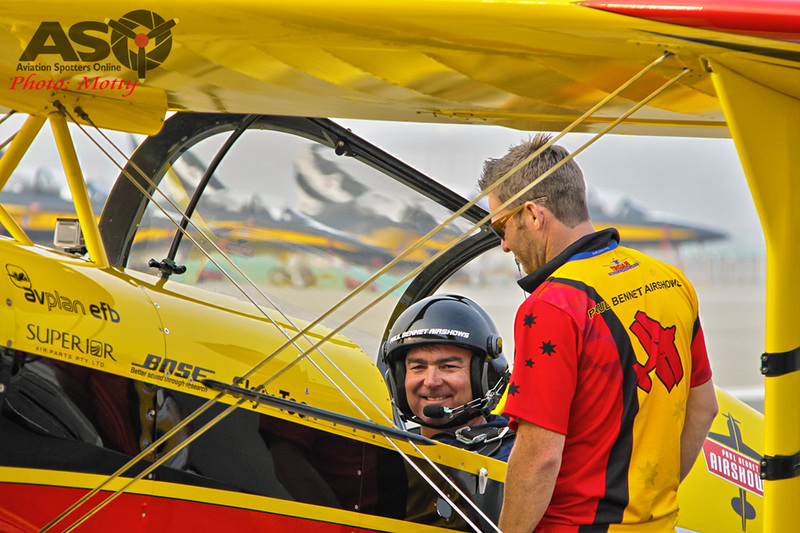 It has been wonderful to see such an Australian aviation success story as the team has gone from strength to strength in spreading the fun and spectacle of aviation to the wider public, both there at home and overseas. Here’s looking forward to what the next ten years brings.